If you've gone to a prom or had a teenager who went you know they are expensive. Every year, Warner Robins high school gathers donated formal dresses and gowns to help more young ladies afford to go. Organizers started accepting dresses for this year's sale this week. The dresses are for sale for $50 or less. The "Affordable Finery sale" runs Saturday from 10 a.m. until 2 p.m. in the Rockin' "R" Cafe at Warner Robins High. 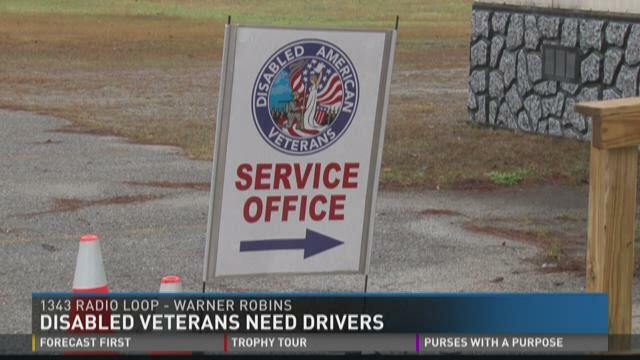 The Disabled Veterans in Warner Robins are looking for drivers. Warner Robins' Disabled Americans Veterans branch currently has only one consistent driver to get veterans to and from the VA medical center in Dublin. And he can only do it two days a week. Burl Jimmerson of the DAV says veterans ought to have daily access to the hospital. Four suspects were arrested Wednesday in connection to a Valdosta shooting that lead to a Warner Robins man being killed. Twenty-one-year-old Lenton Swint was shot Monday just before 7 p.m. at a home on Cherokee Street in Valdosta. He later died at a Lowndes County hospital. According to a news release from the Valdosta Police Department, 21-year-old Brian Sutton, 19-year-old Kelvin Latchie and 18-year-old Daryn Wooten were arrested in Valdosta. Johnny Slocumb Jr., age 22, was arrested in Houston County. Latchie has been charged with felony murder. Sutton, Slocumb and Wooten have all been charged with being a party to the crime of felony murder. All four men are being held in the Lowndes County jail without bond. At Warner Robins City Council Tuesday night, council members voted to put four stores on probation, after an undercover investigation revealed they sold alcohol to people under the age of 21. The stores are: Bobby's Food Mart on Elberta Road, 7 Star on North Davis Drive, JB's Liquor on North Davis Drive, and LoLo Food Store on North Houston Lake Road. City Attorney Jim Elliott says people at each location were found guilty of selling alcohol to underage people. This comes after an undercover investigation by the State Department of Revenue. "These were the results of a state sponsored sting operation done back in September," he explains. "Citations were issued. There were convictions in all four cases. Then, those matters get referred to the mayor and council to take possible action on an alcohol license." On March 1, the E-SPLOST will be up for a vote again in Houston County. That's a one-cent sales tax that helps fund education projects. The Houston County Board of Education wants the money to go towards things like improved facilities, technology, and other renovations. One of the Board's goals is to improve athletic facilities. Seniors Marquez Callaway and Tesia Walker have been playing at Warner Robins High School for four years, and they both agree a better gym could have been a game-changer. "Last season, we had to give up our home court advantage to a team that we really needed to play," Callaway explains. They were forced to move to another location. "That gym had over 2000 seats, and this one barely holds 800." "Everybody's all crouched in," says Walker. 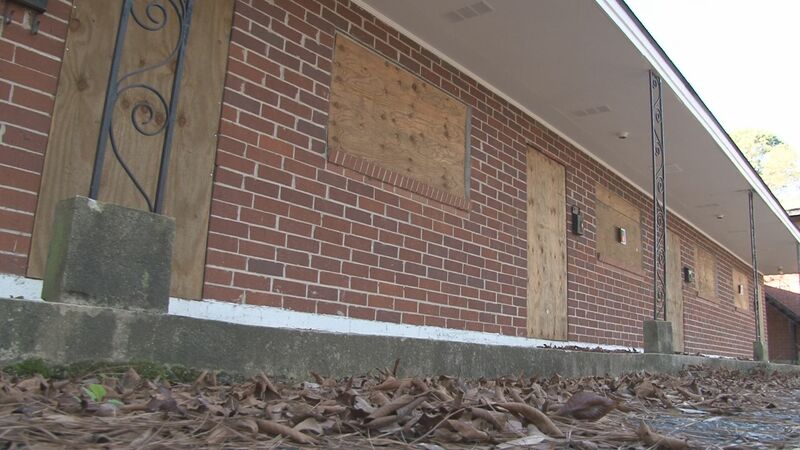 A group in Warner Robins is encouraging the community to celebrate their MLK holiday with a day of service. It's called the Genesis Joy House. When completed, the shelter will house 10 homeless female veterans, but right now, they're in need of help. 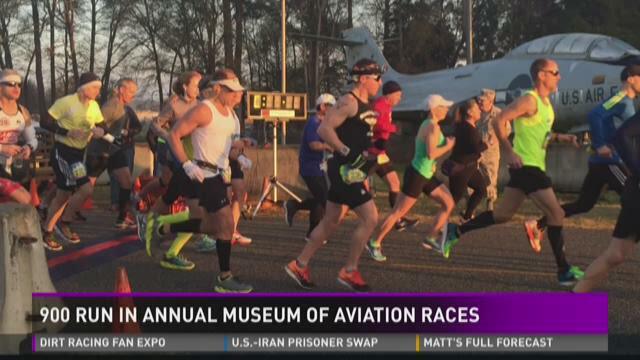 Racers laced up Saturday morning for the 20th annual marathon, half marathon, and 5K at the Museum of Aviation. The three races, which are sponsored by the Museum of Aviation and the Robins Pacers Walking/Running Club, were on Robins Air Force Base, next to the Museum of Aviation. The marathon and half marathon were certified and a Boston Marathon qualifier.